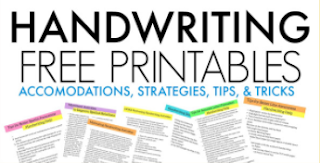 You might have noticed a lot of handwriting activities posted here lately. 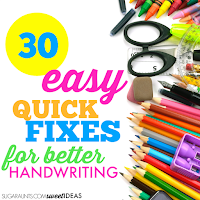 It's all part of our 30 day series on easy handwriting quick-fixes. Today's handwriting tip uses a writing tool that will help kids learn to adjust the amount of pressure that they use when they write. 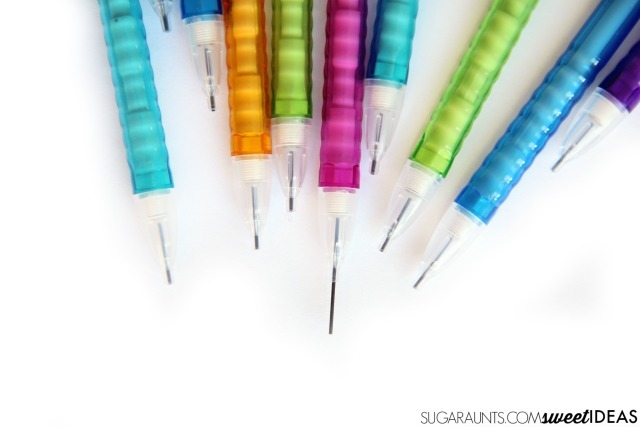 Using mechanical pencils to write is perfect for those kids with proprioception issues. Sometimes you see kids who write so lightly that it is hard to see the letters on the page. Other times you see kids who press so hard when writing that they tear the page and smudge all of the words. 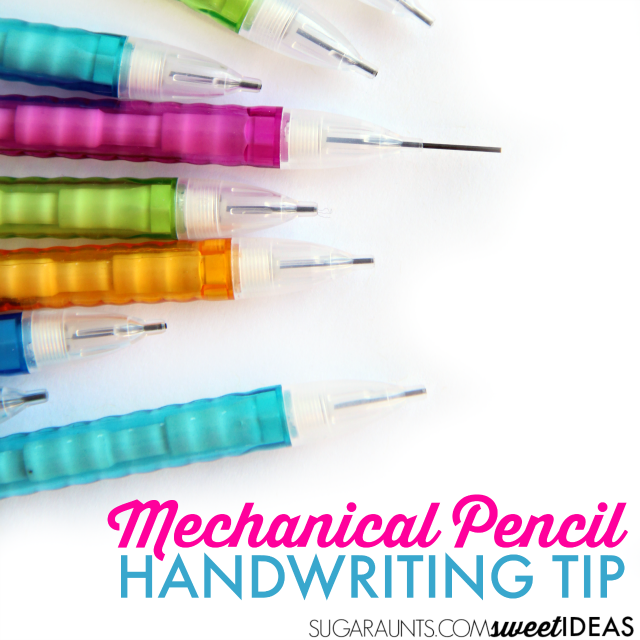 A mechanical pencil is a quick fix for these common handwriting problems. 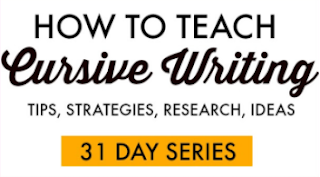 The proprioceptive system is a valuable source of sensory input during handwriting. 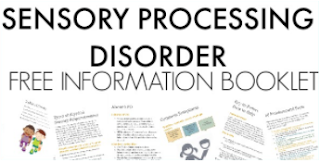 The sensory system receives input from the muscles and joints about body position, weight, pressure, stretch, movement and changes in position in space. Using this information, our bodies are able to grade and coordinate movements based on the way muscles move, stretch, and contract. Proprioception allows us to apply more or less pressure and force in a task. When we write, a functioning proprioceptive system allows us to move the small muscles of the hand to move the pencil in fluid movements and with "just right" pressure. We are able to mark lines on the paper, erase mistakes, move the paper with our supporting arm, turn pages in a notebook fluidly, and keep the paper in one piece. Sometimes, children hold their pencil very tightly. They press so hard on the paper, that lines are very dark when writing. The pencil point breaks. When erasing, the pencil marks don't completely erase, and the paper is torn. The non-dominant, assisting hand moves the paper so roughly that the paper crumbles. When turning pages in a notebook, the pages tear or crumble. Movements are not fluid or efficient. 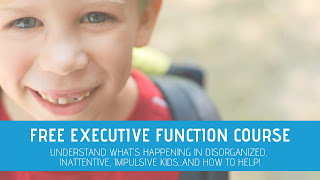 Handwriting takes so much effort, that the child becomes fatigued, frustrated, and sore. It may take so much effort to write a single word, that handwriting is slow and difficult. Other times, kids write so lightly that you are not able to see the written product. They have difficulty producing written work that is dark enough to read. A mechanical pencil can help with both of these common handwriting issues. When a child writes so hard that they break the pencil tip or smudge the words, using a mechanical pencil can help kids become more aware of the pressure they are exerting through the pencil. If they try to push too hard on the mechanical pencil, the very thin lead will break. The mechanical pencil requires a child to press lighter. Children can learn to monitor the amount of pressure used and it will provide feedback on modulation of pressure. A pencil with .7mm lead or a .9mm lead is better to start with for heavy writers. A mechanical pencil with a built in grip can help as well. When a child presses so lightly that you can not see the written work, a mechanical pencil can help because the thin lead requires less pressure to produce lines. This tool can then become easier for kids to adjust to when writing. 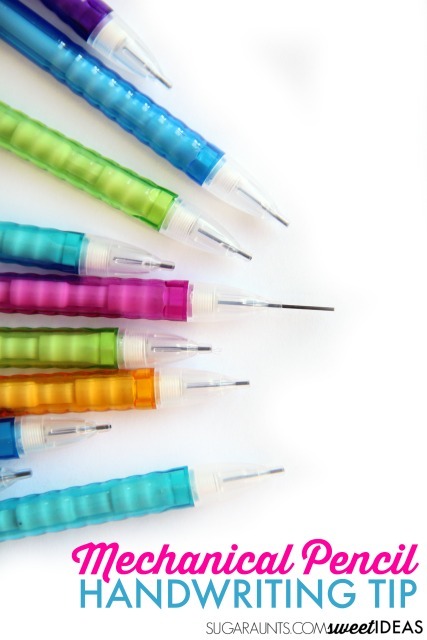 If you are looking for more tips for helping kids who press too hard or too lightly on the pencil, try these. 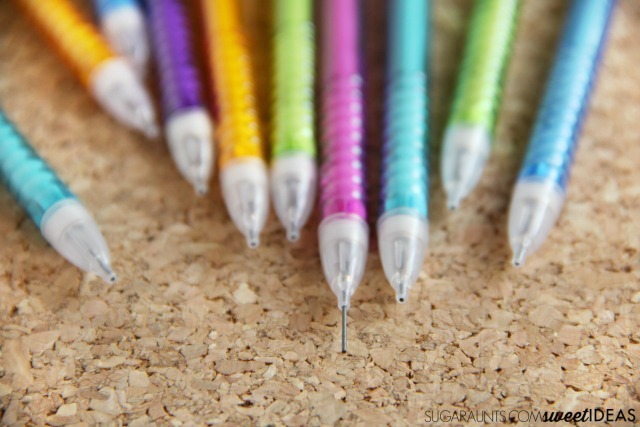 There's another secret reason for using a mechanical pencil with written work. It's got a built-in fine motor workout for little fingers! Pushing down the eraser to provide more lead for writing requires thumb IP joint flexion. As we discussed in a previous post, this motor action allows for a pincer grip and open thumb web space needed for a tripod grasp. Walking the fingers up the mechanical pencil from the writing position to the eraser is an in-hand manipulation exercise. And when kids need to add more lead to the pencil, they are using neat pincer grasp and precision. What a workout!